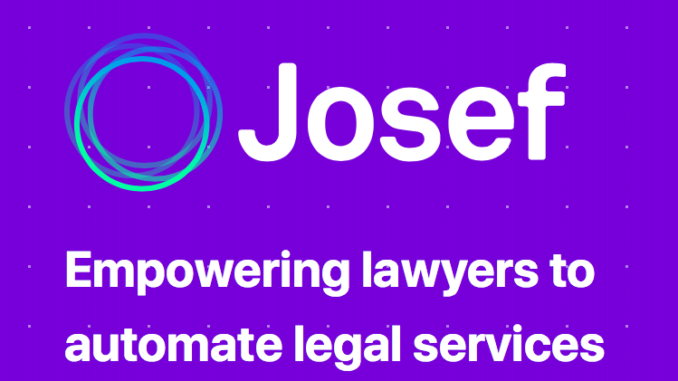 By Kirill Kliavin, Tom Dreyfus and Sam Flynn, co-founders of Josef, a ‘Next Generation’ legal automation platform that produces conversational bots. 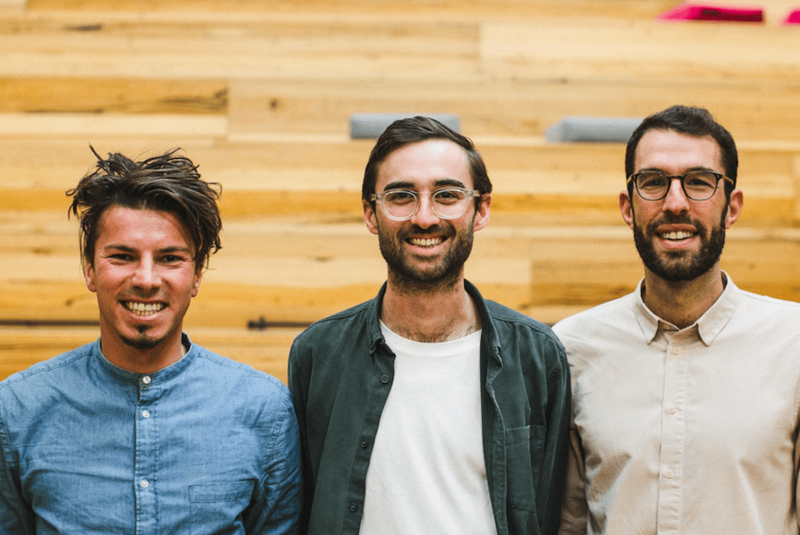 12 weeks ago, Josef was accepted into Startmate’s accelerator program. Now we are heading to San Francisco to meet with investors, clients and partners. It’s been a wild ride, not least because Startmate is often ranked as one of the top accelerators in the world, including by Naval Ravikant, co-founder of AngelList. Obviously, we overcame this scepticism as we were accepted into the program. In large part this is because most in the accelerator saw that we were far more than a legal chatbot builder. 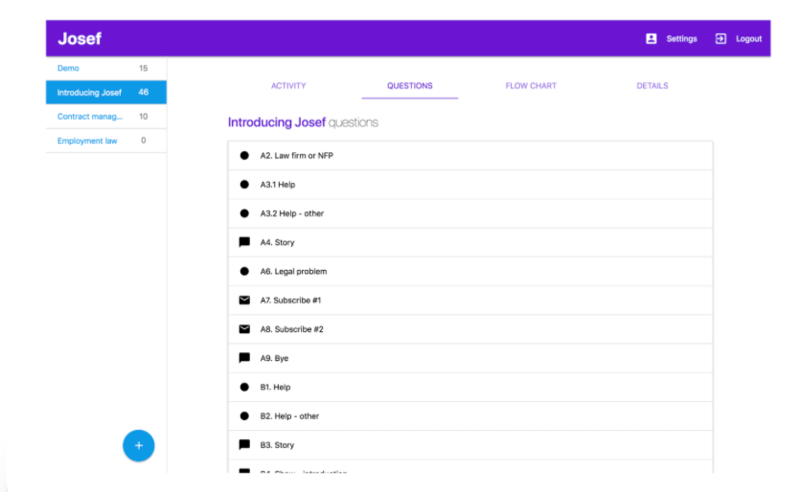 Josef is a next-generation legal automation platform. It just so happens that the end-user interface is conversational. As a team, we both understand the scepticism about chatbots and reject it wholeheartedly. 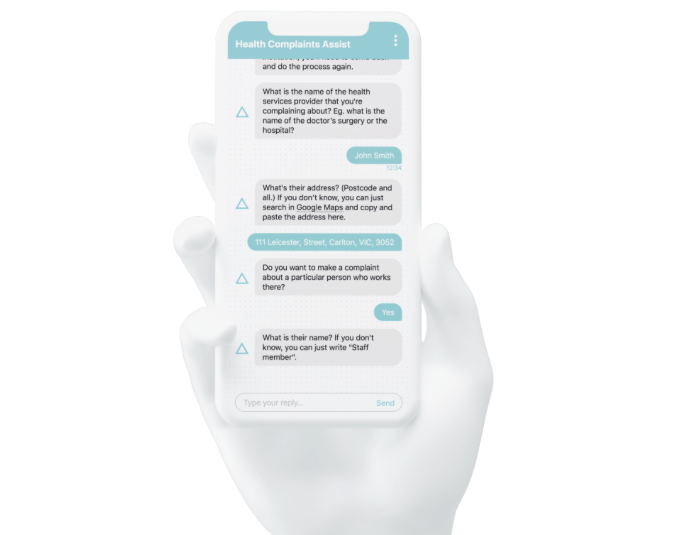 When building Josef, we chose a conversational interface for three reasons. The first was that there is a large body of research which demonstrates the value of chatbots for both end users and organisations, including that chatbots increase engagement and are the preferred method for consumers to resolve simple to moderate issues. The second was that this is a proven technology within the legal industry. From DoNotPay to Visabot to Lexi to Parker, hundreds of thousands of people have been helped by legal chatbots. This success is backed up by research, such as that carried out earlier this year which demonstrated that 70% of consumers would choose a ‘lawbot’ to handle their legal affairs over a human because it is cheaper, faster and simpler. (4) take the answers from the client and produce an output, like a letter or agreement or court document. The Josef team, Kirill Kliavin, Sam Flynn and Tom Dreyfus. Since launching earlier this year, we have grown quickly. 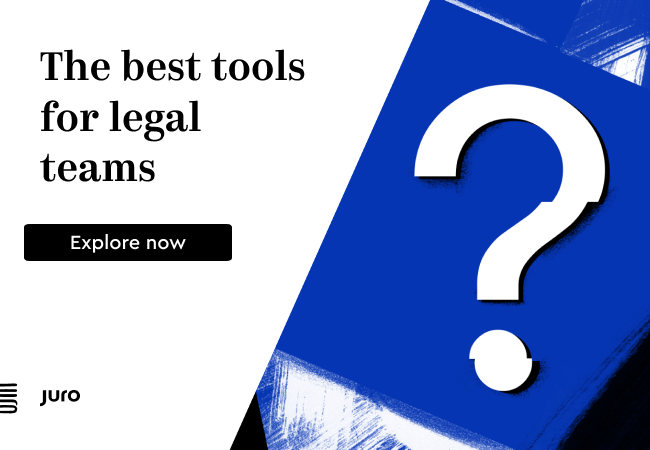 One of our customers recently described our platform as the ‘next generation’ of legal automation platforms, and we believe this is the key to our success. Instead of building expensive single-purpose chatbots for our customers, or producing out-of-the-box solutions, we provide the platform and the support to allow them to productise their expert knowledge. 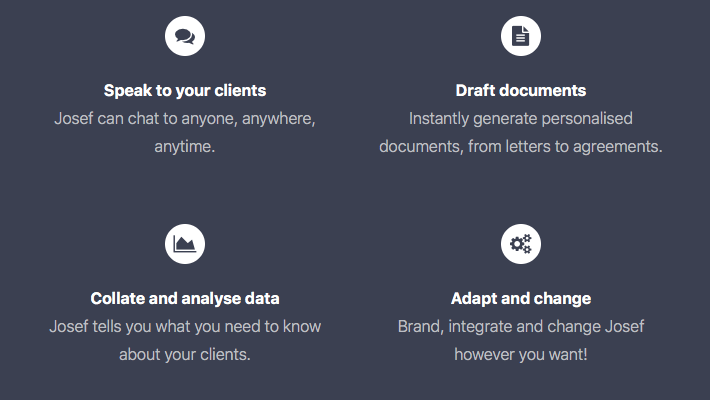 To this end, our product is truly easy-to-use, having been designed by lawyers, for lawyers. We saw this in action when law students at Melbourne’s Swinburne University of Technology began building complex legal bots just hours after being introduced to the platform. We now work across the legal industry and across the world, from an in-house team at a large fintech company in New York – which is building chatbots to automate the production of simple documents like NDAs – to global commercial firms – like one in the Asia-Pacific that is building customised chatbots for its institutional clients – to personal injury firms that are building chatbots that provide automated legal assistance and streamline processes like intake and lead-generation. Though it is early days, our customers have built hundreds of bots which have interacted with thousands of people. Our customers have seen amazing results, from creating new revenue streams to winning awards to building products that their clients love. Handheld legal automation solution, delivered via a bot interface. So, why the scepticism? Much has been written about chatbots over the last few years, about the possibilities and the certainties and the hype and the disappointment, about the death of apps and the future of bots. Last year, the Gartner hype curve showed conversational user interfaces in the Innovation Trigger stage. This year, it doesn’t appear at all. And while all of this is interesting, and some of it correct, we at Josef think it’s much simpler than all of that. The tech industry is notoriously bad at predicting the future of tech. A comprehensive analysis of the Gartner hype curve, for example, shows that nearly all of the predictions for the past 20 years were incorrect, and that hardly any of the big developments were identified in the early stages of development. The tech industry, including the legal tech industry, is susceptible to trends. And if we know anything about trends, it’s that they are a substitute for the real deal (in art, it’s a substitute for taste; in the world of tech, it’s a substitute for hard data). But – and here’s the rub – we don’t need to rely on trends to determine the value of a chatbot. The research shows that people love them and want more of them, and the results back it up. But that’s not to say that chatbots are always the answer (hot tip: they aren’t) or that we don’t have to work hard to make good chatbots. There have been a number of execution issues with chatbots launched over the past few years, and we cannot ignore that. Not least is that some of them ‘break’ when they can’t understand an end user’s intention. The reason for this is clear: people have launched bots without doing the work to ensure that they are ready. To be truly capable of interacting with end users in this way, bots need access to deep and properly managed data sets. That is why, at Josef, our bots are expert systems. Bots built on Josef are rule-based, allowing our customers to completely control the way that their bots interact with their end users. However, at the back end, Josef is tagging all of the data that it collects. In the future, when this dataset is sufficiently deep, Josef’s customers will be able to easily and effectively launch bots that properly process natural language, for example. We are also in conversation with potential partners around the world, from Stanford to Melbourne, to systematise the tagging of such data to better prepare for a time when bots will be smart, legal services will make sense to both lawyers and clients, and no one will ask: Why the hell is it a chatbot?